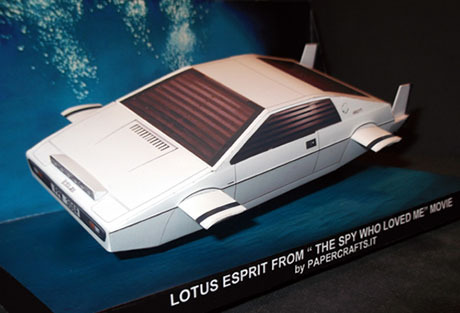 The Lotus Esprit S1 is a sports car that was built by Lotus in the United Kingdom between 1976 and 1978. The S1 was launched in October 1975 at the Paris Auto Show, and went into production in June 1976, replacing the Europa in the Lotus model lineup. 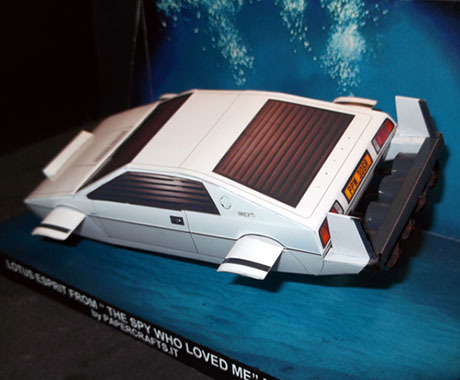 The car gained fame through its appearance in the 1977 film The Spy Who Loved Me where it was featured in a long chase sequence on the Italian island of Sardinia. It is probably best know for its unique feature of converting into a submarine. Paper Model from Papercrafts.it website.